With so many to choose from I am finding it harder to make a decision on which RV is right for me. Just when I think I've narrowed it down I realize that it might be best to keep on looking. 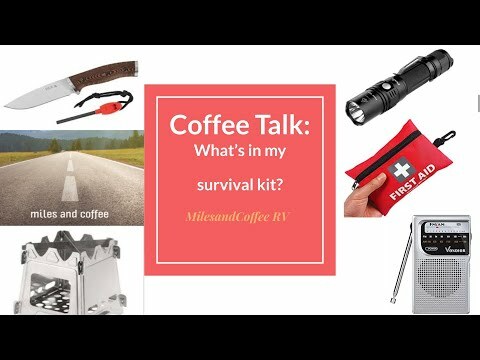 Walking through an RV is different from watching a walk through on YouTube that's for sure! Yesterday I celebrated my future independent RV lifestyle by taking a trip to Camping World in Bossier City. 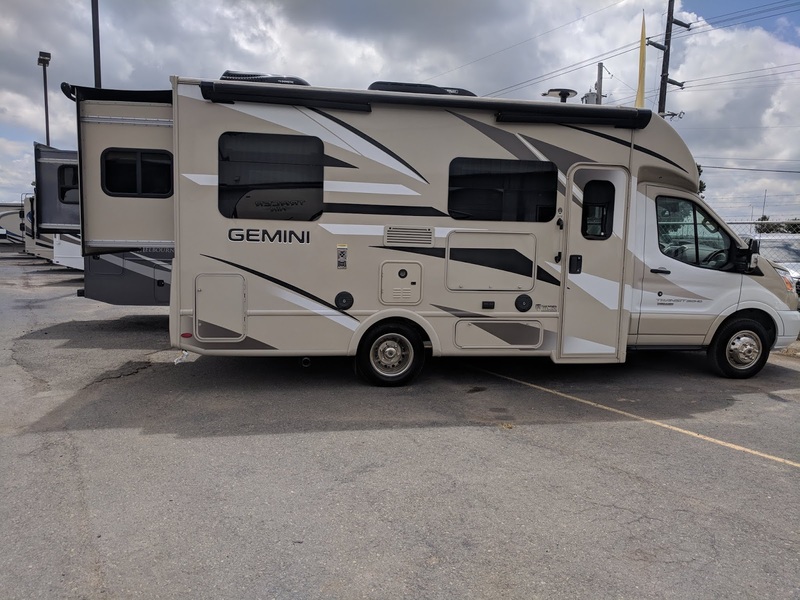 I walked through several RVs ranging in size from 22 feet to 38 feet. I got a chance to experience everything from simple Class C's to travel trailers with all the bells and whistles. There were no class A's on the lot. My inspections we're relatively brief due to the sweltering heat. However, I saw enough to narrow down my interest to a few Class C's. Below are my thoughts on the one that really impressed me. 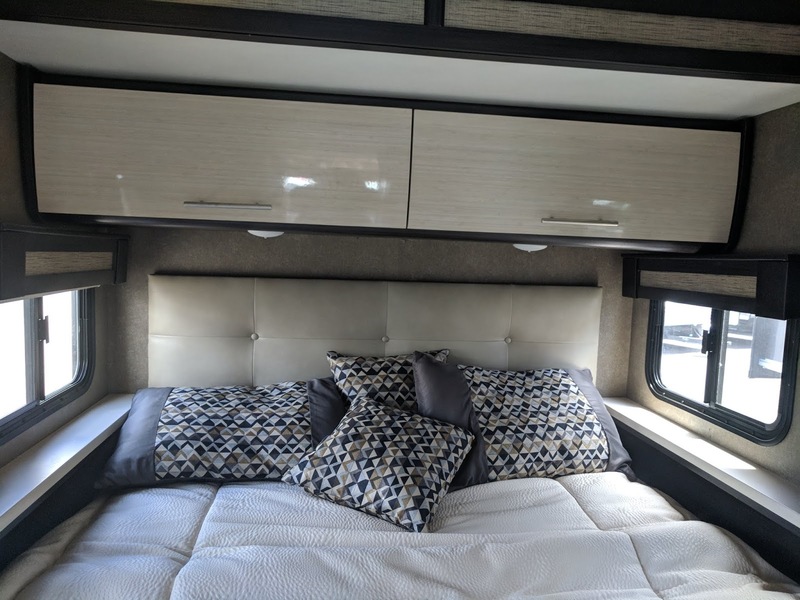 The 2018 Thor Gemini 23tr really captured my imagination due to it unique floorplan. It is categorized as a Class C on the lot but Thor Industries advertises it as a B+. Thor also calls it a RUV which stands for Recreational Utility Vehicle. Whatever you choose to call it, I was pleasantly surprised with the fact that they managed to create 2 distinct living areas in such a small space. Though I am not partial to slides, I may be tempted to make an exception in this case. The bedroom is in the rear of the coach. It is on a rear slide out. This is important to me because a class C front cab can get steamy in summer and cold in winter due to its lack of insulation. The air conditioning unit is located in the center, cooling the living and bedroom areas down fairly quicky. And with the vent fan in the center bathroom you have the ability to move air around the cabin even more. Another feature in the bedroom is the murphy bed. It turns into a seating area which doubles as a reading nook, a place to change clothes, or a TV lounge. Lining the walls on each side at the foot of the bed are built in shelves which are perfect for books, DVDs, snacks, cell phone charging, and other small devices. There also a 32 inch TV in the rear bedroom for rainy day movie viewing. Nice touch! The bedroom and bathroom are designed to create a large suite for privacy and convenience. The bathroom has two doors. One swings out, the other pushes inward. Magnets are strategically placed on the ceiling to hold the doors in place. The outer door effectively shuts off the area from the front of the cabin and provides privacy from those who are sitting in the living area. This is a game changer. I like the cozy feeling created by closing the ''door" to the bedroom. Speaking of bathrooms, this one is small, thus the reason for two doors. There is a separate toilet, sink, and compact shower with curtain. It is a dry bath complete with medicine cabinet, stainless steel sink, a cabinet below the sink as well as a cabinet above the toilet. There is plenty of storage for toiletries, towels, and tissue paper. Plenty of light is filtered in throughout via skylight above the shower. In the living area the items of interest include a 32 inch TV above the entry door, a leatherette sleeper sofa, cubbies for cell phone and cupholders, a stow away table, and another vent fan. There is also a retractable visor which opens to reveal a huge skylight to let in more natural light and allow one to literally sleep underneath the stars at night. The living area is open, comfy, and bright. The kitchen has all the amenities of a modern home. The typical stove is replaced by an induction cooktop and a convection microwave oven beneath the counter for easy access. You have a dedicated waste basket in it's own cabinet as well as a 5.5 cubic foot Norcold 3 way fridge. There is ample storage for kitchenwear and a few small appliances. All of the cabinetry and counter tops are white. Cabinets are laminate covered wood. The entire look and feel of the coach is European. It is worth noting that the Onan 3000 generator allows you to run lights, fridge, and microwave simultaneously without sacrificing power. This is another game changer for me as I narrow down my choices. This model has a Ford Transit Diesel Chassis for better fuel efficiency. I will let a Thor expert tell you more about that here. I am new to RVing so I welcome your comments. If you own a Thor Gemini RUV please share your observations, the good, the bad and the ugly, below.